Unlike the one-size-fits-all solutions from “print-on-demand publishers,” 1106 Design provides start-to-finish project management, customized to your specific needs, with hand-holding every step of the way. Click here to learn more about 1106 Design: A better way to self-publish your book. Book buyers are blown away by our professionally-designed book covers. Our page layouts exceed publisher expectations and make your book appealing and readable. You’ve spent so much time perfecting your manuscript; doesn’t it deserve to look beautiful? We don’t publish your book; you do. Companies that ask you to “apply” to have your book published and then after “accepting” your manuscript, charge you a hefty fee to produce it are called “subsidy publishers.” At 1106 Design, you’re the publisher and we’re here to help you publish your book. We aren't a factory publisher. 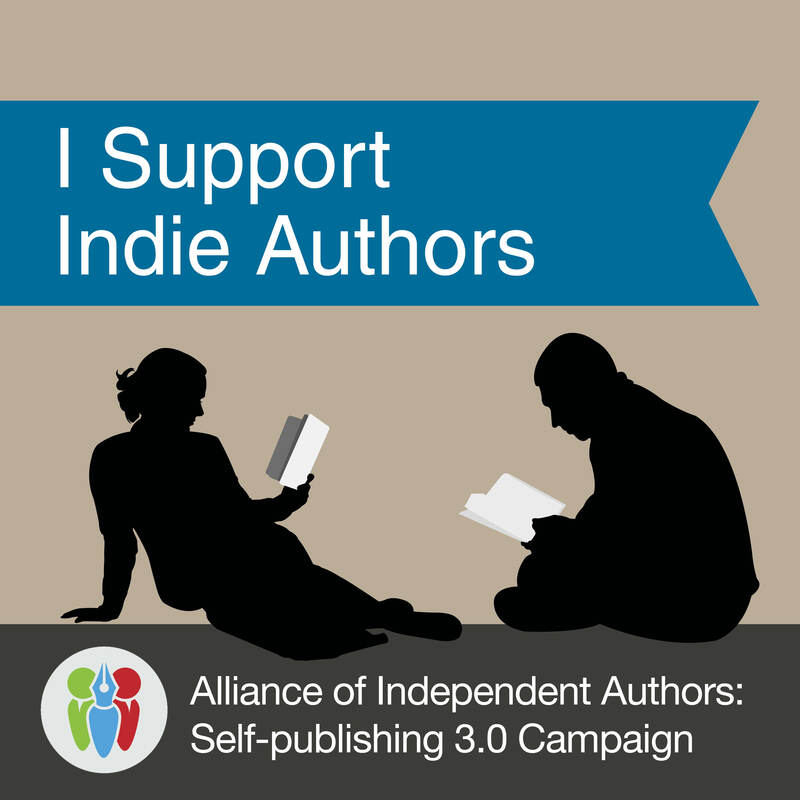 We offer much more than a “vanity press” self-publishing company or a “factory publisher.” Our mission is to help you make your book the best — not the cheapest. As a result, you won’t find any easy-to-use templates or do-it-yourself guides on our website. Cheap books look cheap, and ultimately, cheap-looking books don’t sell. We are neither too big, nor too small. 1106 Design is just right, making us safer to work with than a single-person firm, more responsive and flexible than a large firm, and more convenient for you than finding (and subsequently managing) multiple vendors. We don’t pride ourselves on being cheap. There’s an old saying that if you look long and hard enough, you can usually find a cheaper price. But you will never find a better value than 1106 Design. We provide our customers with top-notch professional design services, and by hiring us, you will be hiring pros right here in the USA who know how to create a product that the market will accept. Beautiful books are successful books. A successful book makes you a successful author. So 1106 Design is really in the business of producing successful authors – like YOU! Have you ever seen a self-published book and…cringed? Our team of professional book designers and editors will make sure that no one ever winces when they see your book for the first time. You’ll be proud to have your name on the cover of your new book! Be the publisher and maintain control. 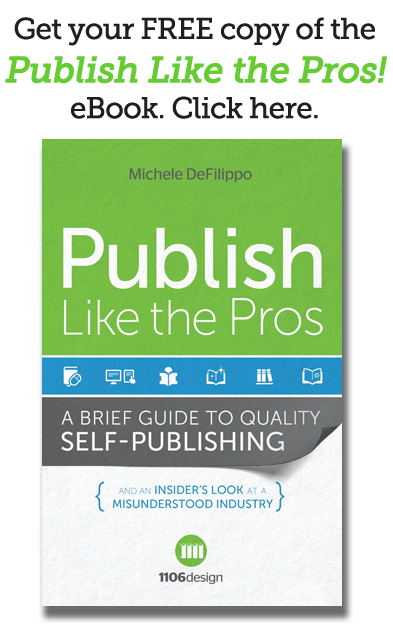 It’s not necessary (or even advisable) to work with a “print-on-demand publisher” or a “self-publishing company.” That’s because you, yourself, are the publisher, and you can choose the editing, design, and printing or POD services that best suit your situation. With 1106 Design, you maintain all rights to your book. You sell your book through the distribution channel of your choice. And you keep 100% of your royalties. Don’t waste valuable time researching multiple service providers when 1106 Design can coordinate all professional services for you and manage your book project. We eliminate confusion and miscommunication by dedicating one 1106 Design team member as your contact person throughout the entire project, beginning to end. Other online self-publishing companies will sell you on free or low-cost templates and do-it-yourself services, in the hopes that you will quickly get frustrated and hire their specialists. Your book will look like a book. As the late, great, Dan Poynter said, “If you want your book to sell like a book, it has to look like a book.” Only unique covers, beautiful book interiors, and error-free text can ensure that your book will stand out on the book shelf – for all the right reasons. Your book will be in good hands with 1106 Design. Rest assured that your book will be completed in a timely fashion (usually 8-10 weeks, depending on the services you order) and within your budget, and that you will be pleased with the results.